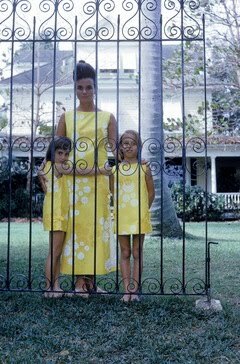 Here is Lilly wearing one of her iconic dresses that matches her lovely daughters Liza and Minnie. The mother daughter outfits never go out of style! 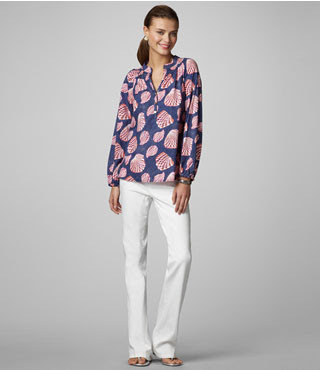 To honor Lilly's birthday, I wanted to share some of my favorite Mother-Minnie picks from the new resort line. It's an exbloomsion! The newest prints in tones of blue are among my favorites this season. Every Mom surely needs another Elsa top this season! Why not match your minnie in her little shift dress. Pair it with a cardigan and tights and extend the time you can wear your warm weather clothes! Jonah for Moms is so comfortable and classic. Odile for girls will wrap them in warmth and comfort during cool winter months. Do you like to match your Minnie? What are your favorite prints from resort? 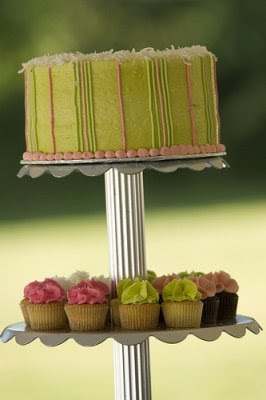 Many Lilly Pulitzer Via shops and corporate stores are hosting special events and sales to celebrate Lilly's birthday. Be sure to check your favorite store for exciting savings and gift opportunities. Happy birthday LP! The Jonah is one of my favorites! Cute post! I do love matching/coordinating with the kids...hopefully they'll keep indulging me! Precious Mother/Minnie collections... and precious cake!! !